A simple yet yummy way to end your weekend. Making marinara sauce is a good way to save those very ripe tomatoes in your fridge. Just freeze ’em up in batches and thaw as needed. 1) Boil 6 cups of water , add salt and add the pasta. Cook until al dente. Strain and set aside. 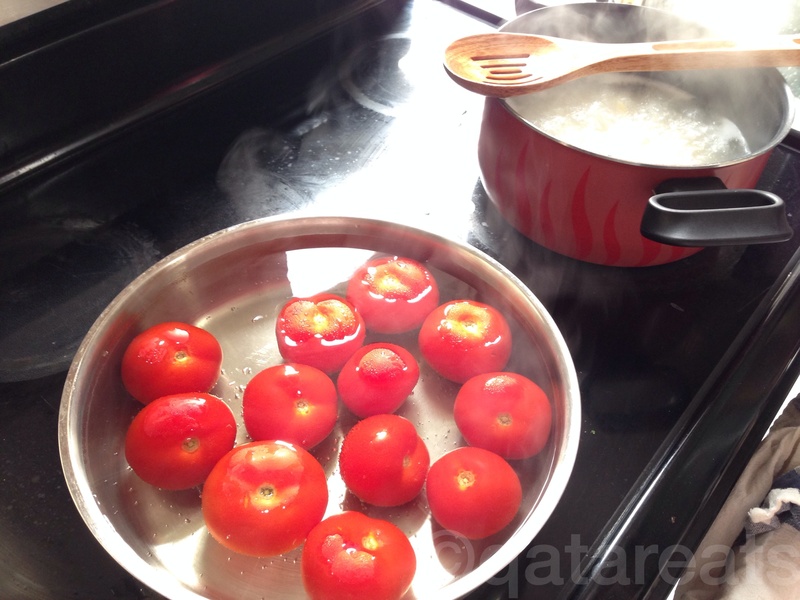 2) Fill a pot or pan with water and add tomatoes. Let it boil until the tomato’s skin splits. Strain and remove the skin, careful as the tomatoes will be very hot. You can cool it down first before skinning. 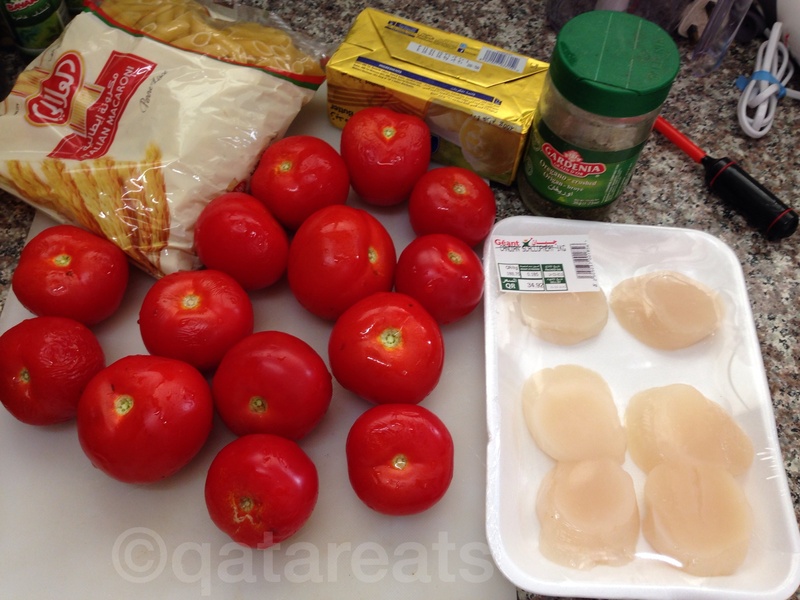 3) If you want a chunky sauce, chop the tomatoes. 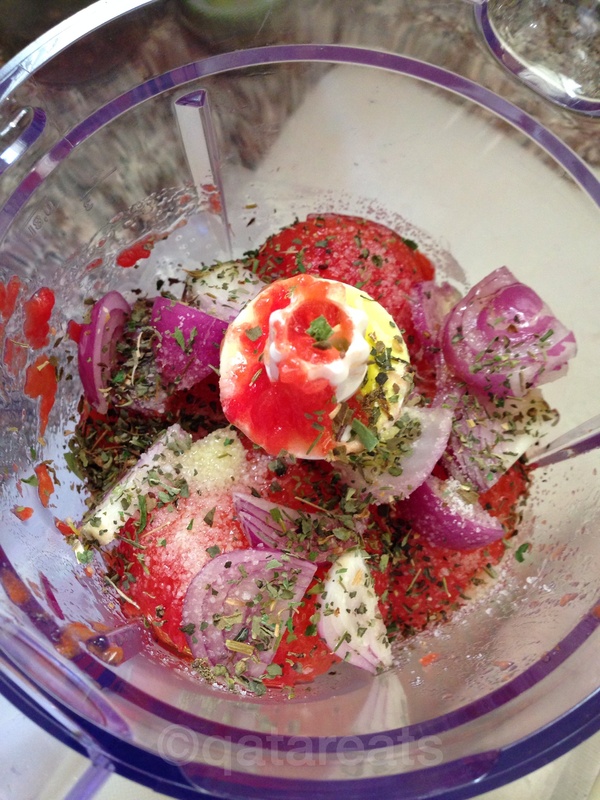 If you want it smoother, blitz it in a blender or food processor along with the garlic, onion (optional), and the herbs and olive oil. 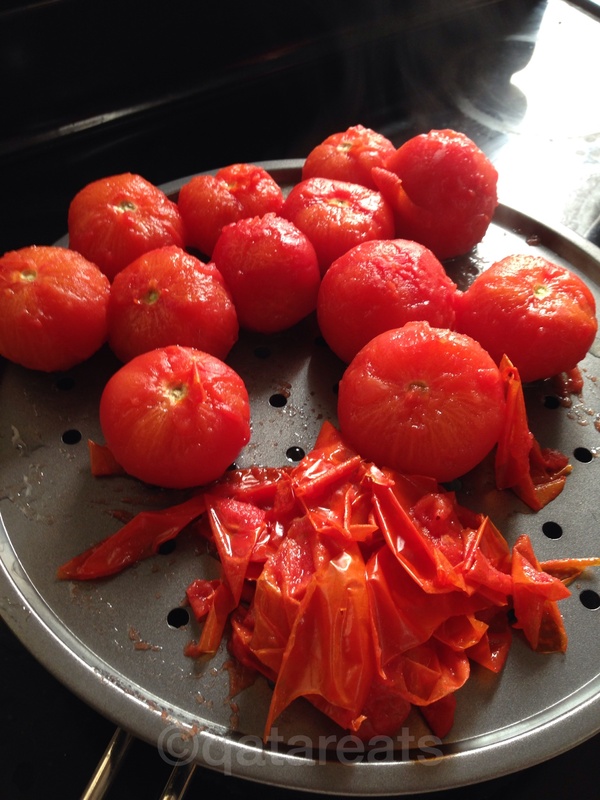 4) Heat a pan in medium low and the tomatoes, garlic, onion, dried herbs and salt or pepper. Turn off the heat once the sauce starts bubbling and add the olive oil. 5) Heat another pan in medium heat for 5 mins. 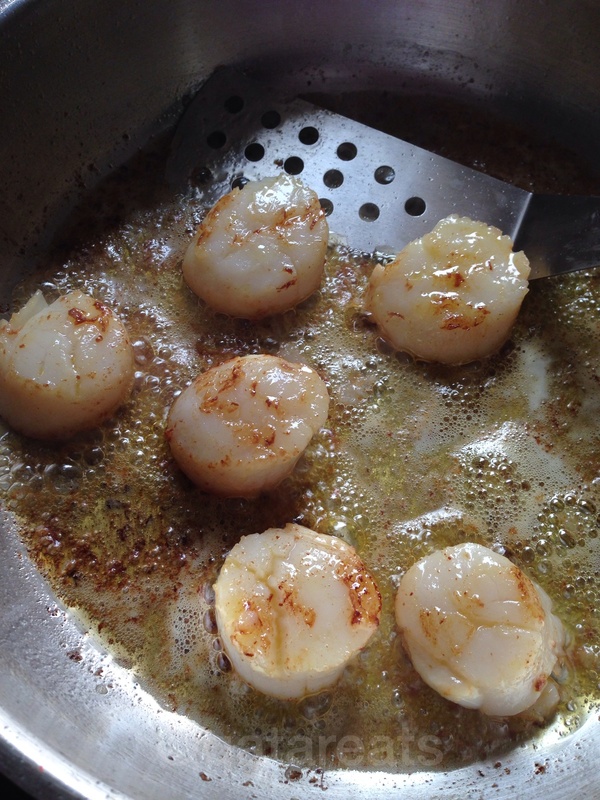 Melt the butter and add the scallops. 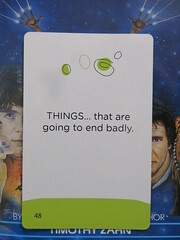 Make sure they’re not touching each other. 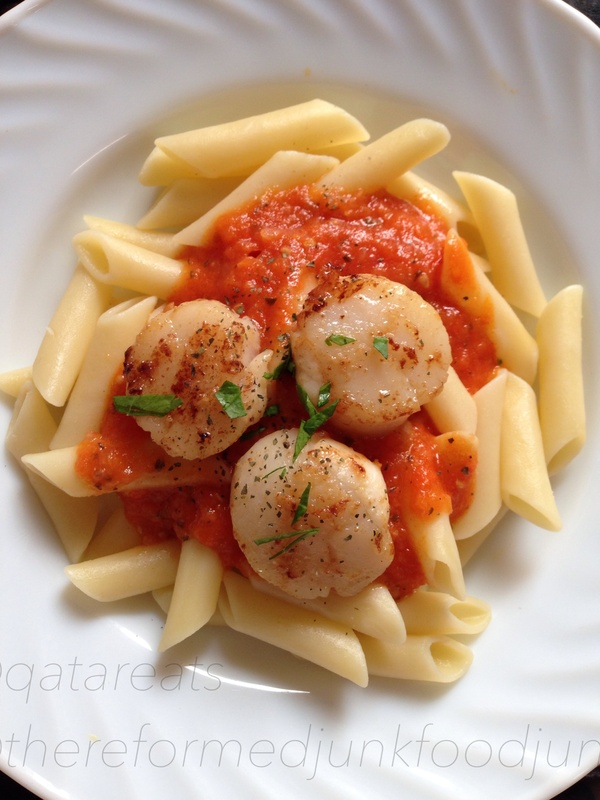 7) Set the pasta on a plate, smother it with sauce. Top off with the scallops and a little garnish.